Other traditions include the beachside Seaweed Baths, featuring sea water with kelp. In the summertime cooked periwinkles are salted and served in small paper bags along with a pin to extract the small sea snails. The village itself contains mostly pubs and amusement arcades, fast food restaurants, children's playground, a supermarket, Garda Station and a statue commemorating the golfing visit of Bill Clinton. This was the first statue of Bill Clinton on public display in the world; it is located on the corner of Main Street and Church Road. Ballybunion is widely known at present as the most famous seaside resort in North Kerry. It is well known for its glorious beaches and panoramic cliff walks. There are breath-taking views out over Loop Head as one walks high up over the cliffs overlooking the Virgin Rock. The beaches are safe for both bathing and surfing enthusiasts. 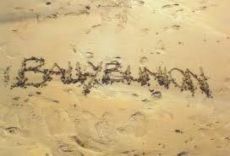 There are currently 2 blue flag beaches in Ballybunion. There are two commonly used beaches in Ballybunion, accessed by large, very steep concrete pavements, and divided by the cliff atop which stands the ruined castle. The beach to the left of the castle (if looking toward the sea) is called the "Men's Beach", and the one to the right the "Ladies Beach", given to the fact that men used to bathe on a separate beach from women and children. This practice has not been observed for decades. The Ladies Beach has the added attraction of magnificent rock formations. For many years visitors and locals alike have enjoyed the therapeutic and relaxing seaweed baths. The large cliffs to the right of the women's beach have shallow caves. There is also a path which takes about 20 minutes to walk, and goes round to the "Nun's Beach", a beautiful beach that is overlooked by an old convent.